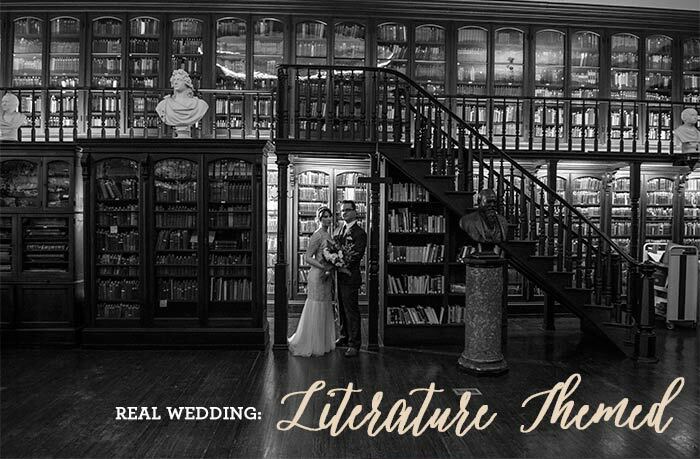 Today I’m sharing with you a continuation of yesterday’s post introducing Shannon and Bryan’s gorgeous literature wedding. 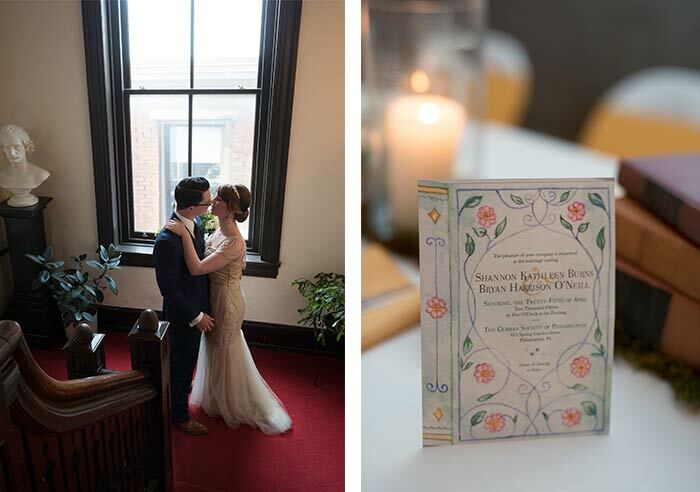 One of the reasons I know weddings are the right place for me as a painter and designer is because I truly feel a connection with the couple and what they are going through with wedding planning and also a connection with how the wedding is crafted together. 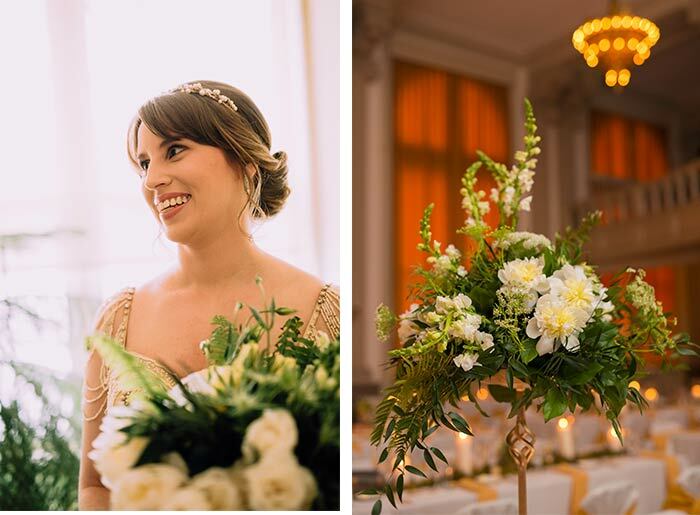 I care about the thoughtful design elements that are incorporated into the wedding as well as the intangible moments that happen during this monumental day in the couple’s lives. While I know as an artist, I could certainly just put my attention on the art only, but I wouldn’t be me if I didn’t give thoughtful, caring attention to the couple. I think that this care resonates when couple’s work with me. 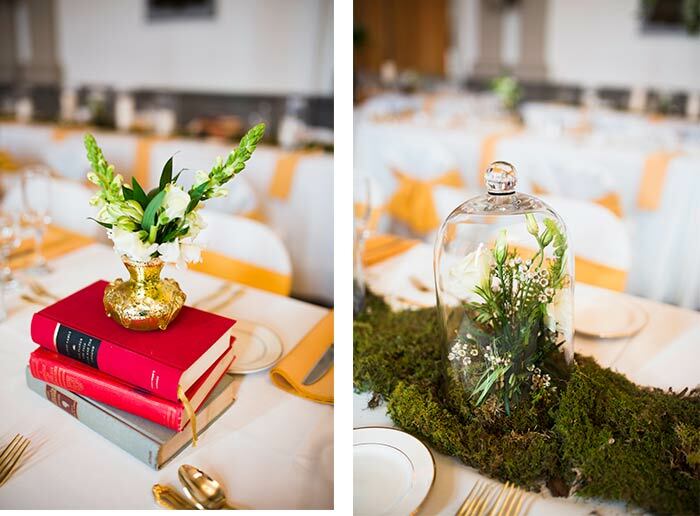 Question: What was your favorite detail at your wedding? 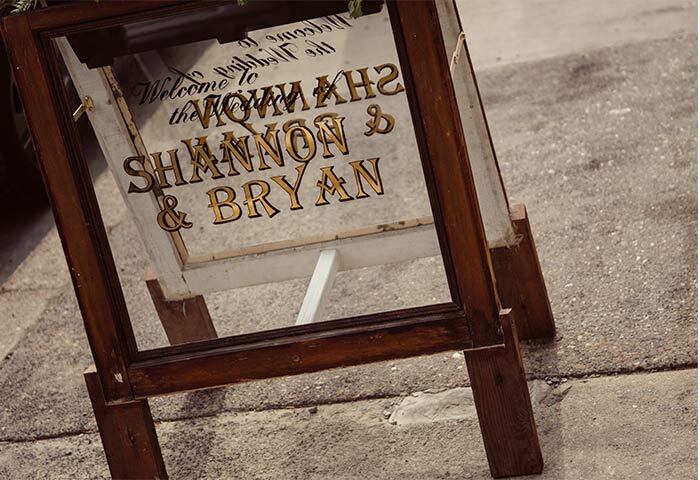 Shannon: I loved so many of the little details, but I have to say it was the handmade signs our friend made for us were my favorite. Aaron of The Point to Point created such gorgeous and memorable signs that really added a special touch to the day. Everyone was commenting on them because they looked so cool, but they also served a function and completed our literary theme. Plus, of course, the fact that they were made by a friend made them even better. I also loved our band. 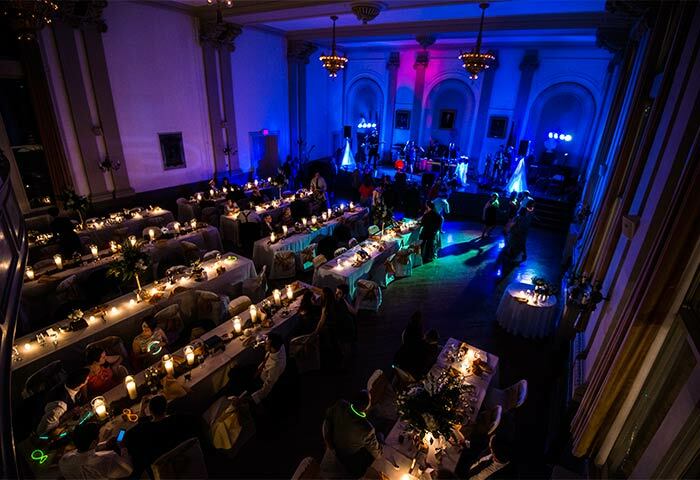 The ballroom where we had the reception is known for its acoustics, so going with a live band was the natural choice. The band we chose, though, was amazing. They had everyone up and dancing the whole night, and they played all the songs we wanted perfectly (which is saying a lot we are very fussy about music!) They really set the atmosphere and made it a truly fun night big props to the Uptown Getdowns! 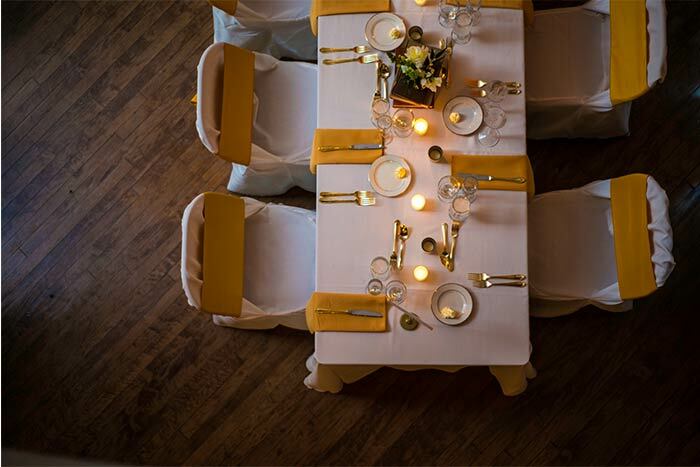 Question: Favorite moment at your wedding? Shannon: Immediately after the ceremony, Bryan and I had to hide while the guests left the room and headed to cocktail hour. We waited in a small, quiet space and just chatted, taking in the enormity of the situation. That was definitely my favorite moment of the day. We have been together since high school (1999), so to finally be married and to have a few moments alone after the whirlwind of planning and prepping for the day, was really nice. Honestly, I think it’s my most vivid memory of the day and the rest of it seemed to fly by so fast! 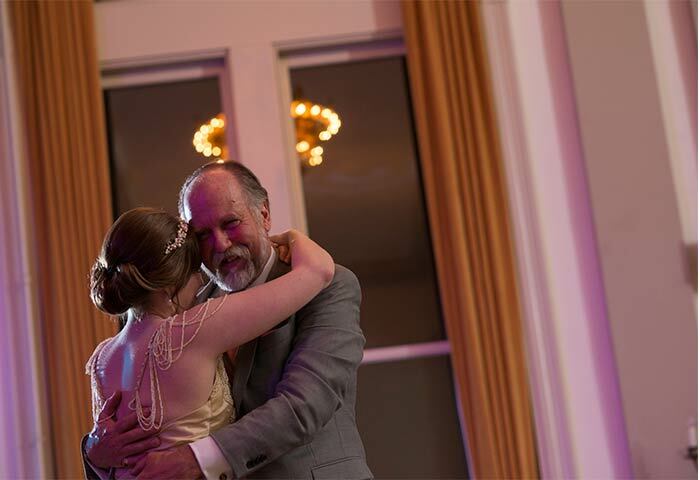 A close second favorite moment would be my dance with my dad. The band did a really nice cover of a song that always meant a lot to us, “Learning to Fly” by Pink Floyd. It’s tough to pick a favorite moment, though, since the entire day was so fantastic. Everyone says that it’s the happiest day of their lives, which sounds so cliche, but it’s really true. It was hands-down the best day of my life. 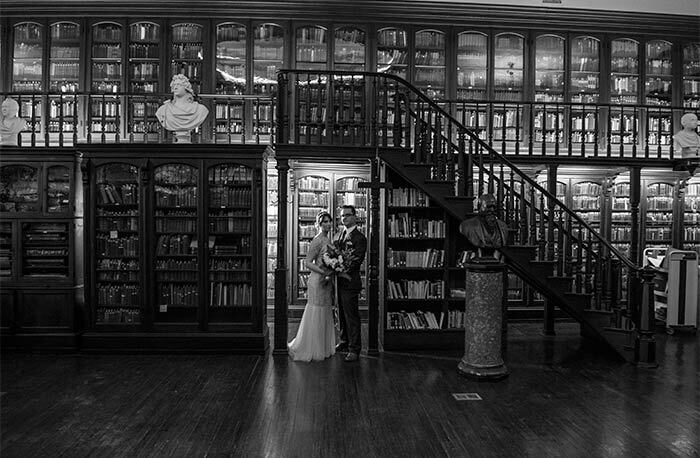 Stop by tomorrow for the final post about this gorgeous wedding, which will feature a really unique ceremony cocktail…yes, I said cocktail!